So what do I do when I'm not travelling on my motorcycle? I talk about my motorcycle, I tinker with my motorcycle and I watch, read and listen to others who have a similar interest. I'll try and share my thoughts about what I watch/read/hear in this section. I will also try to give some thoughts about the gear I buy. The images and videos for the movie and book reviews are not hosted on this site. You can still request a DCMA takedown through the site administrator. Graham is what you would call a minimalist rider. He has a tooltube made out of a toilet brush holder on his KLR650 and despises technology to the point where minimalism borders on luddism. But I think when you've done an epic trip like he's done your logic becomes a bit flawed in regards to how it could have been done. I remember reading Touching the world where Bernard Smith sings the praise of their BMW and boldly states that there is no other machine that could have done their trip, completely disregarding the fact that it was broken down for one whole month out of the twelve they traveled. Along the same lines Graham discards satnavs as some kind of utterly useless yuppie-paraphernalia early with no practical use whatsoever and states that using them makes you completely oblivious to where you are in the world. Thanks to the fact that he to his credit doesn't hold back on any information in the book despite how it makes him look we learn that on his day by day account of his travels he makes navigational errors every day for at least the first month including riding around in circles for two hours and going in the complete opposite direction of what he intended. If that is what its like having a sense of where you are in the world we'll just have to agree to disagree on the satnav issue. The book starts out good enough with trip preparations and heading of to the Sweden Rock Festival and he seems very joyus traversing Europe. That all changes when he gets to Kazakhstan though. I think Graham really is a solo traveler at heart but he can't resist the comfort of teaming up with others when the opportunity arises which leads to endless conflicts. Halfway into the book there is so much criticism of other riders, route choices, stops, hotels. Pretty much everything you can think of. Some of it is really petty like when he states when one of his "pet hates" is when someone takes the lead and don't know where they're going. Following that debacle Graham himself takes the lead and immediately goes the wrong way himself. By this point I'm really feeling that I'm listening to the overlanding version of "An idiot abroad" and it got so depressing that I actually switched over and listened to another book before taking this up again. It does eventually get better just to get worse again as he reenters Russia as it's blatantly obvious that the Russian way is not to his liking at all. One thing I do like about the book is that Field gives day by day commentary which really immerses you in the travel and makes it easy to follow along where he is in the world. I also like the fact that he mentions absolutely everything going on with the bike, every tire change and every top up of oil. I also love the fact that he after such a long trip still considers the bike to be just a machine, he doesn't name it and he doesn't consider it a close and personal friend. It's simply a tool to get the job done and it's very refreshing that for once it isn't a Beemer. Graham mentions in the afterword of the audiobook which he himself narrated 8 years after the trip that now that he's reading it all again he's not sure if he really likes the person he was when he wrote this. I'm really glad he wrote that because I'm not sure I do either but that kind of self awareness means he's changed since then and peaked my interest in his next book, Eureka which I most likely would have skipped otherwise. I bought these as a base layer for warm weather riding as the Klim Badland pants tend to chafe my legs in long days in the saddle, especially around the knee protector. First impressions out of the box is that I don't really understand what kind of body these pants are made for. I bought them size small (like most things) and they fit reasonably well around the waist but they are impossibly tight around the ankles and are ridiculously long. There is probably a couple of decimetres excess length on the leg and as I pull all this up every time I wear them I can hear the seems starting to tear, if they survive this full season I'd be surprised. Forcefield uses a fibre called BeCool which supposedly is "the first polyamide fibre with integrated airflow control a function that maintains body temperature during sports and leisure activities. Through a four channeled thread BeCool has a greater diffusive area than standard thread, up to three times greater than cotton, which allows it to act like a fan forcing the skins hot and humid air towards the outer layer of the fabric while allowing cool and dry air to circulate from the outside into the surface of the skin." Wouldn't it be great if it worked? Yes it would but unfortunately it doesn't. I bought this for the trip to Russia and had temperatures just below 30ºC throughout almost the entire trip. I suffered through for most of the trip as it did relieve the chafing of the pants but eventually I couldn't take it any longer and started riding without them. After a full day of riding with the FF Base Layer my legs where completely soaked with sweat, I would not have been worse off even if I'd just pissed myself right before peeling these off. This is not how breathable fabric is supposed to behave. I did not wash them before taking off on the trip so there is nothing I could have done to ruin the functionality of the FF pants. For all intents and purposes it was like riding in Long Johns and that is pretty much how I'll continue to use them from now on. I will continue to look for a base layer for hot weather riding as this is obviously not it. As I've previously written Ewan and Charley gets a lot of hate from the community and Charley probably more so than Ewan. When I read between the lines it seems that some people seem to consider Boorman some sort of failure as his acting career didn't really take off. The way I see it he used his contacts to make one of the most watched travel documentaries of all time and has since been able to make a living off of travelling, writing, presenting travel shows and as more or less a factory rider for first BMW and now Triumph. If that's a failed career then sign me the hell up right now. 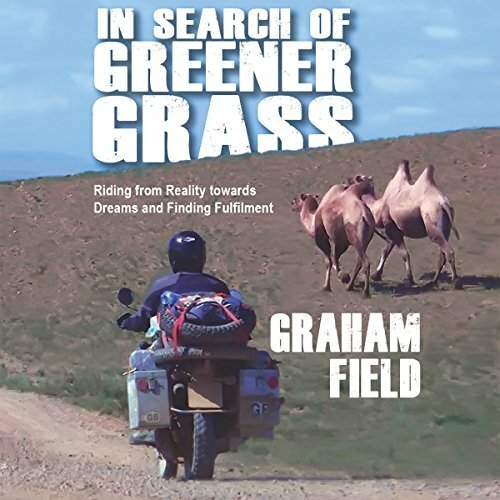 This book is from a trip travelling (mostly) by motorbike through Canada, the second largest country in the world and was the first of a series of travel documentaries made for UK:s Channel 5. I have to admit that my expectations weren't high as I had no previous experience of Boorman as an author (as I just assume the Long way round book was ghostwritten). Turns out the guy really can write. I've seen the show but this gives a whole new perspective to the trip with thoughts and insights that there just wasn't time for in the show. 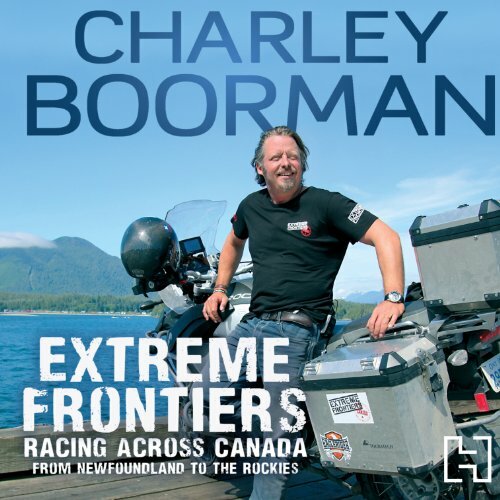 Although the motorcycle aspect wasn't very prevalent I enjoyed this immensely as I got to follow Boorman through the "extremes" of Canada even though the things he does is obviously thought out to cater to a television audience with dirt biking, extreme cold diving, horseback riding and ice hockey (obviously, he is in Canada after all). This will definitely make me check out some of the other books he's written. 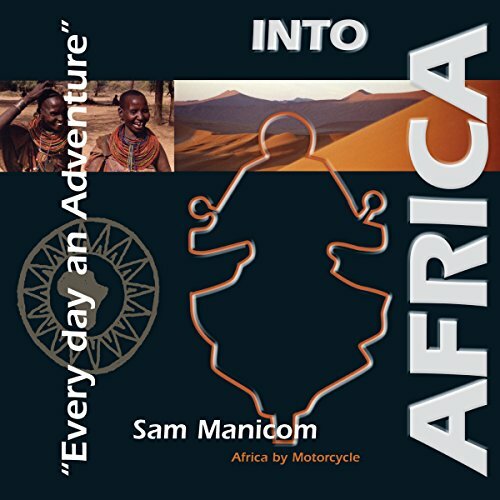 Sam quits his job as a shoe-salesman and starts travelling the world going through Europe and taking the ferry over to Africa. He puts himself in places and situations with an equal measure of humour, warmth and fearlessness. He's pretty much a cross between Al Bundy and Indiana Jones (he even has the hat). Unlike many other travellers who have done this Sam has no fixed agenda as he has time-limit for his return which I think make all the difference. He really has the time to completely immerse himself in the culture as he dedicates a whole year and 22000 miles to do what others might do in four to six months and a lot less mileage. At one point he even hides the bike and treks for more than a day to spend a week with a tribe that's pretty much devoid of outside contact. Sam calls things as he sees them in a journalistic kind of way without overanalyzing or spiritualizing it at all which might sound boring but most definitely is quite the opposite. 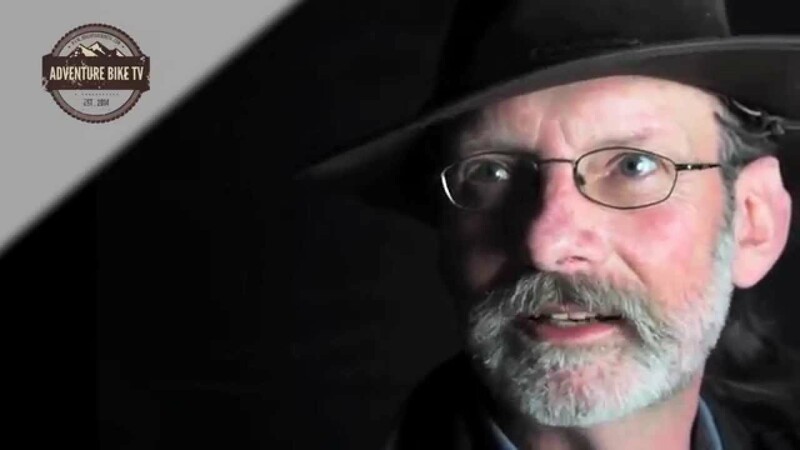 He is an amazing storyteller, this is the kind of guy you'd buy beers for all night just to hear him talk and he paints a picture that makes you feel like you're right there in the moment with him. The only reason this doesn't get a solid ten is because: 1. Sam is a better writer than he is a narrator and 2. he like many others develop the Wilson-syndrome along the way giving his bike a persona and a naming it. Naming your bike and/or refering to it by its gender pronoun makes for pretty confusing reading when there are more than two people mentioned in the story. I also don't really understand the decision to screw up the chronology by having the first chapter take place in Uganda, it's no doubt the "juiciest" chapter of the book but you don't really need to hook me in, I've already bought the book. But those are really minor details and overall this is one of, if not the best adventure motorcycle book I've ever read (heard) and since this is just the first of a series of four books I can't wait to read the rest of the series. Daddo get's fired from his job as a VJ on MTV and before heading back home to Australia decides to go on a road trip across the USA. His companion on the ride is a guy called Ray O'Neal which passed away in 2004. Andrew then decided to write this book as sort of homage to Ray as I get it. It is obvious that he considered Ray a very good friend as a brief passage in the book where they are separated for five days is for Daddo an ultimate test of independance. Riding five days alone in Iowa... I mean come on? He's actually at one point writes that he's so lonely he almost cries. In this rather short book there are so many flashbacks to childhood and Daddos early days you sort of lose the feeling that they're actually on a trip. After three chapters of childhood nostalgia I can't even remember where in the US they are when the story picks up again. After the pretty much complete biography around the half way mark the story picks up around what they're actually doing in present time which saves the book from being a complete disaster in my view. This was also one of the few times author narration was a good idea as this being read by an Australian lends some authenticity to the story, had this been read by an American or Englishman nuances would have been lost. I can't help but note that someone at Audible production has come up with the idea to put in music at the end of each chapter. I personally never think this is a good idea but when you end a really heart-felt letter to a dead friends daughter with a Waynes World-like guitar riff you must be completely out of your mind. It is in very poor taste to say the least. Despite all the criticism it's not entirely without its merits. It a humorous story and a decent read taken for what it is, a biography.